Entering a gateway via a Key pad can be very useful. Allowing anyone that is of knowledge of the code to gain entry.Codes can be changed as and when they need refreshing. 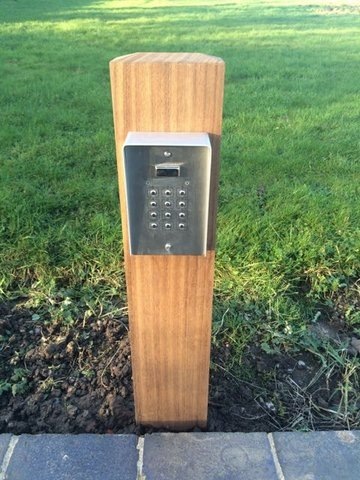 Along side it just being a Key pad you can also have an intercom built into the system. Allowing you to alarm the house of your presence and inform them who is calling on them via an entry microphone on the key pad. Your key pad can come with illumination allowing it to be easily seen at night. 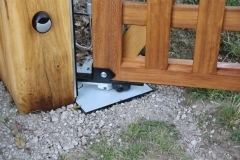 A magnetic lock that powers up when the gates come together in their final closing position. 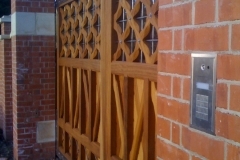 Giving extra stability to the centre of the gateway by locking the gates together with two separate meeting plates. Ideal for big pairs of gates to increase the strength when closed,also perfect on manual single gates at the side of pairs of automated. 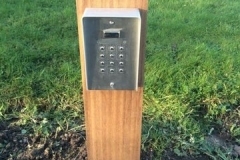 This situation would allow someone to gain entrance via an intercom then allowed through a pedestrian gate when the electric mag lock is released. An essential basic part of gate safety. When the line of beam is broken the gates will not close on any obstacle breaking the beam.Also used in reverse not allowing the gates to be opened onto anything breaking the beam(obstacle detection). A basic installation will have two sets of beams along side other safety features. One set of beams between the posts and one set internally to cover the opening arch. 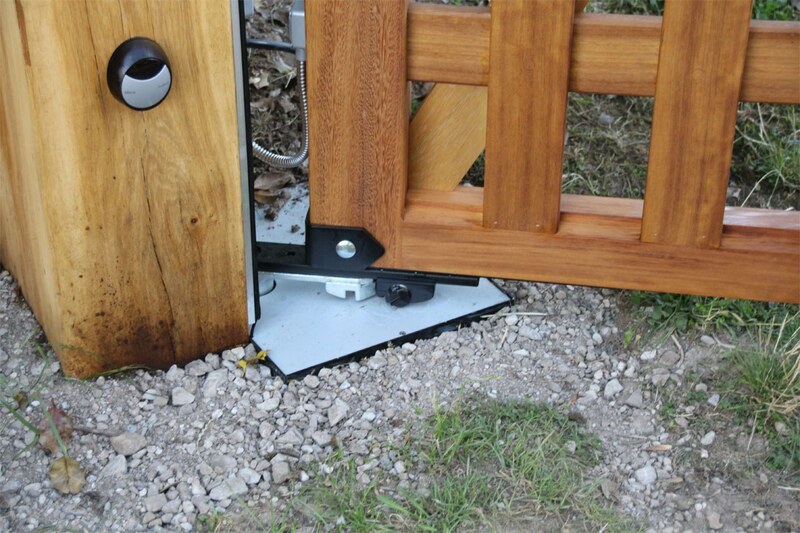 Safety contact edges or Ribs will ensure the safety of any trap point with in your gateway. Hinge corners are the most obvious area of trapping.Its where the most force can be exerted by the gate, so will need a full length Edge down the post to cover the area. Walls and obstacles that the gates open up to will also need a safety edge as to stop anyone getting trapped between the fixed obstacle and the gate. Also commonly known as Zappers! These are remote controls that you have on your key ring or in your car that open or close the gates with a press of a single button. 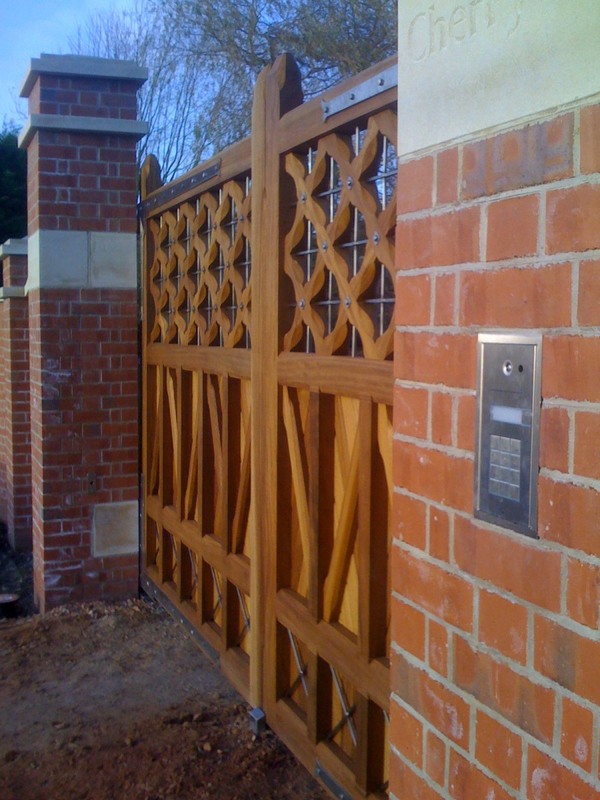 Most gate installation will have three, but the client can purchase as many as need be.